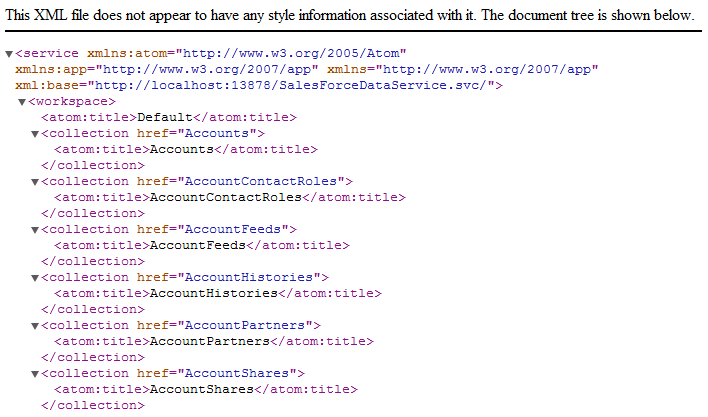 This article shows how to publish an OData feed of Magento data by creating a WCF Service Application. The CData ADO.NET Provider for Magento enables you to use the Windows Communication Foundation (WCF) framework to rapidly develop service-oriented applications that provide Magento data to OData consumers. This article shows how to create an entity data model to provide the underlying connectivity to the Magento data, as well as how to create a WCF Data Service to expose the OData service. You can then consume the feed with any OData client, for example, Power Pivot or an application that uses the CData ADO.NET Provider for OData. 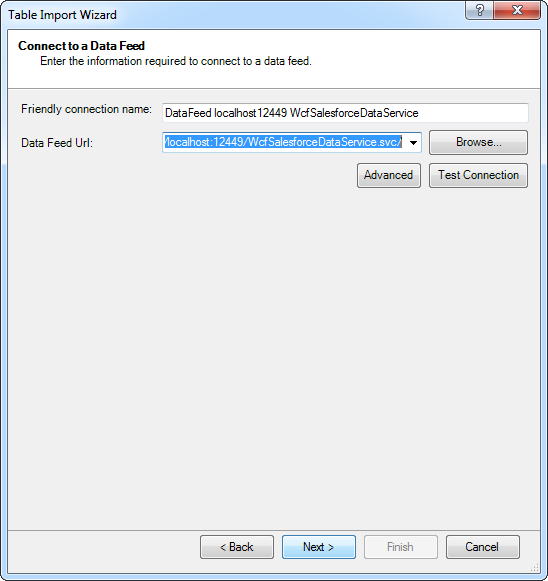 Follow the steps below to create a WCF service application that will provide connectivity to Magento data via OData. Open Visual Studio and create a new project. Select the WCF Service Application template. Delete the autogenerated IService.cs and Service1.svc. Click Project -> Add New Item -> ADO.NET Entity Data Model. 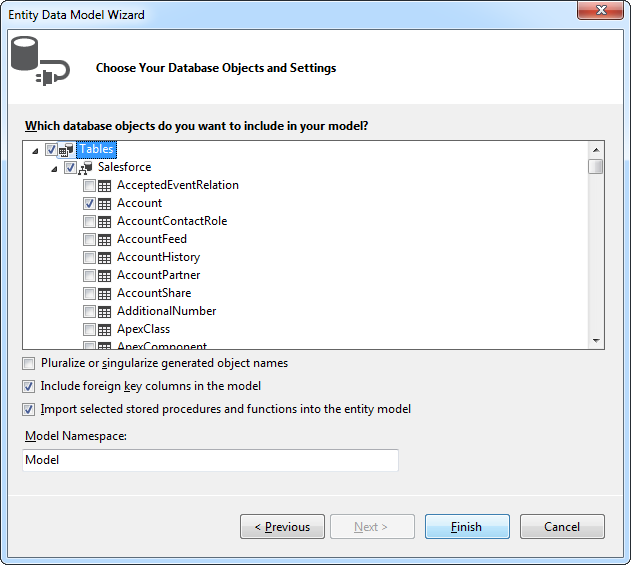 In the Entity Data Model wizard that is displayed, select the 'EF Designer from Database' option. In the resulting Choose Your Connection dialog, click New Connection. 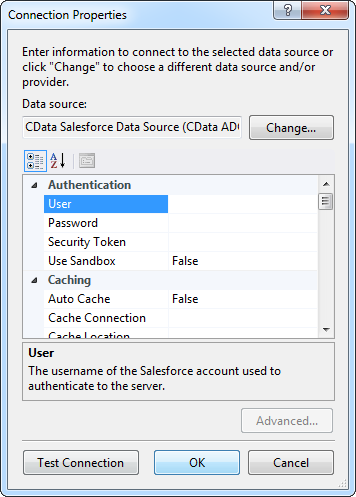 In the Connection properties dialog, select the CData Magento Data Source and enter the necessary credentials. Magento uses the OAuth 1 authentication standard. To connect to the Magento REST API, you will need to obtain values for the OAuthClientId, OAuthClientSecret, and CallbackURL connection properties by registering an app with your Magento system. See the "Getting Started" section in the help documentation for a guide to obtaining the OAuth values and connecting. You will also need to provide the URL to your Magento system. The URL depends on whether you are using the Magento REST API as a customer or administrator. Customer: To use Magento as a customer, make sure you have created a customer account in the Magento homepage. To do so, click Account -> Register. You can then set the URL connection property to the endpoint of your Magento system. Administrator: To access Magento as an administrator, set CustomAdminPath instead. This value can be obtained in the Advanced settings in the Admin menu, which can be accessed by selecting System -> Configuration -> Advanced -> Admin -> Admin Base URL. If the Use Custom Admin Path setting on this page is set to YES, the value is inside the Custom Admin Path text box; otherwise, set the CustomAdminPath connection property to the default value, which is "admin". 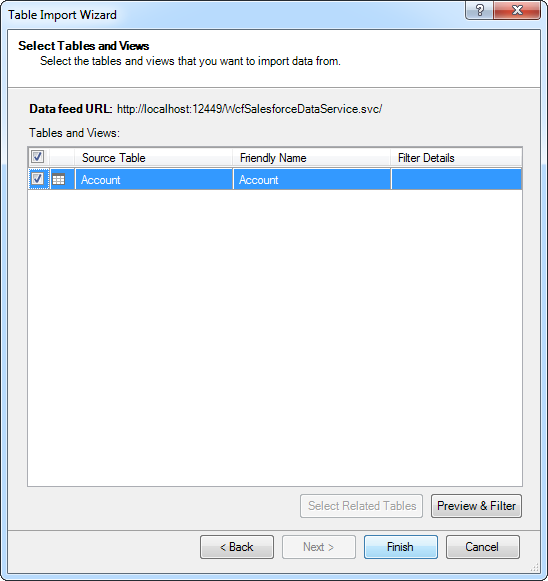 Select Magento tables and views that you want OData clients to access. Click Project -> Add New Item -> WCF Data Service. Specify the data source class and configure access to the new WCF Data Service. In the example below, the Access Rule for the entities is set to All. This means that any user will be able to read and modify data. You can now use the service from any OData client; for example, Excel Power Pivot. 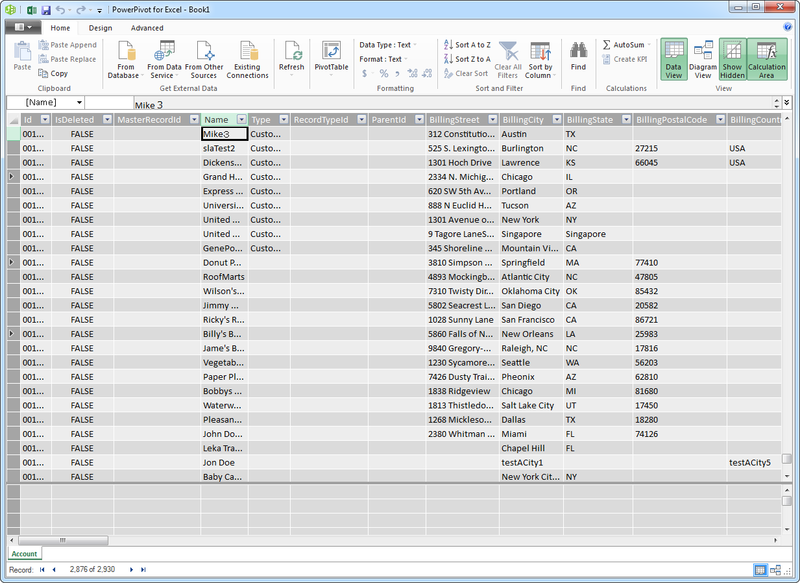 Open Excel and click on the Power Pivot Window button. A new pop-up will appear. Select the option From Data Feeds. In the resulting Table Import Wizard, enter the OData URL. For example, http://localhost:12449/MagentoDataService.svc/. After connecting to the OData service, click the Next button at the bottom of the window. A table listing of the available tables will appear in the next window of the wizard. Select which tables you want to import and click Finish. Click Close to import the data in Power Pivot.